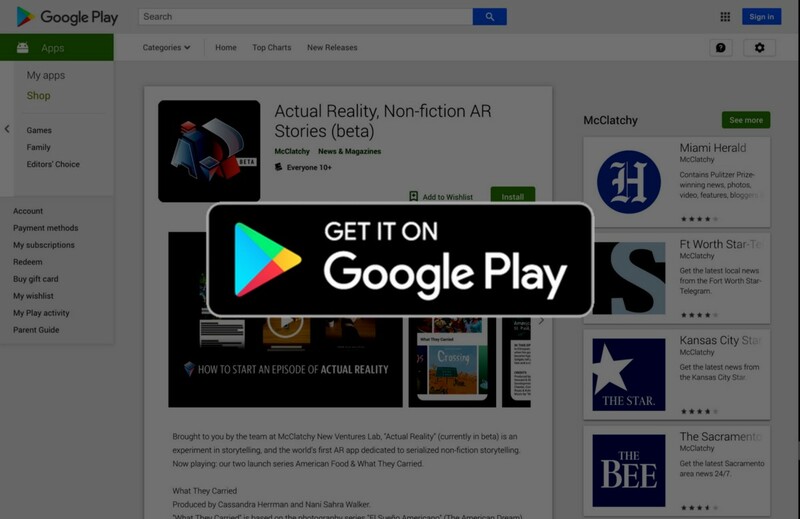 What is the Actual Reality app, and why does it exist? Our raison d’etre: Just by attempting to prove that hypothesis, we’ll learn valuable skills and lessons that we can apply to McClatchy’s core business for years to come. Understanding this emerging medium will allow us to: strengthen the visual journalism our newsrooms are capable of, harness new tools for data visualization and documentation, enhance existing products and create new ones, introduce new advertising and branded content opportunities for our sales teams to take to market and provide expert guidance to our organization as the new landscape of immersive media unfurls. We feel lucky that we get to do this work, but we also know it’s vital to ensuring that local journalism is amplified on current and future platforms. what we’ve done with a larger audience, gather even more feedback (and bug reports), catch our breath and decide how we will push AR journalism even further. We also look forward to sharing our findings and some lessons and reflections about the tools we’re using. This summer or fall, we plan to convene an unconference about volumetric journalism. We’ll bring together a few dozen of the brightest folks doing nonfiction volumetric storytelling for a long weekend of collaborating, debating and photogrammetry dancing. You can also follow McClatchy New Ventures Lab on Sketchfab to see models from the Actual Reality series. Lead Strategist @McClatchyNVL. Proud to have helped build @AJStream @PostTV & @AJplus. Cross-pollinating about social & techno evolution. We are a destination for creators to come together and advance nonfiction storytelling. Here we'll share what we learn in an effort to prepare storytellers for the future, equally valuing technology, creative and business.